Yesterday we learned that the new President of the United States is to be Donald Trump – the candidate who called global warming ‘fictional’ and threatened to ‘cancel’ the Paris Agreement so many of us have worked hard to achieve. But is all lost for our transition to a low carbon global economy? We don’t think so. The unprecedented international co-operation on climate change has seen a booming low carbon economy. Key points: renewables have overtaken coal, electric vehicles are the auto growth segment and ‘clean’ jobs are being created faster than any other. This is all happening globally and in the US. Conservative strongholds and Trump states, such as Texas and North Carolina, are developing clean energy industries attracting new investment and jobs. They are unlikely to wave all that goodbye. In 2015, the clean energy industry brought $6.96 billion to North Carolina, boasting more than 26,000 full time jobs, 3,150 of which were created in 2015 alone. In Texas, more than 100,000 people are now working in the renewables sector. Of Trump’s voting public, 70% consider it a ‘high priority’ to cut greenhouse gas emissions with 40% of Republicans worried about climate change. We don’t know yet how Mr Trump will act on climate policy, but we think the progress achieved to date is irreversible. Contact Charlene Cranny at UKSIF for more information and resources around climate action. 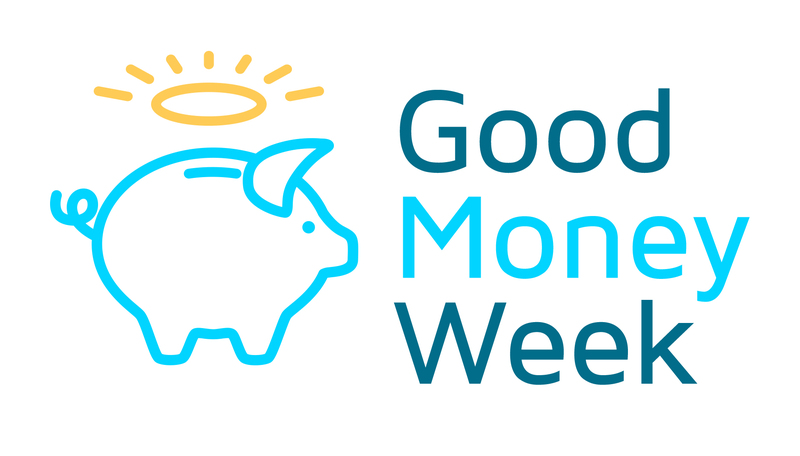 Good Money Week is the campaign to raise awareness of sustainable, responsible and ethical finance to help people make good money choices. Good Money Week aims to ensure that everyone knows they have sustainable and ethical options when it comes to their financial decisions. Good Money Week takes place this year from 30th October- 5th November. During this annual event we make it a focus for the financial editors of national papers to publish real life stories about people who make the choice to invest in Socially Responsible Investments, (SRIs). The important thing is that they are not odd or extreme in their principles but normal people who take the time to consider the potential outcomes of investing. If you can invest and get the same, or better, return on your investment and be certain that the investment meets your ethical values, then surely that’s a win-win. There are of course the cynics who question those good intentions. In the same way that a driver of an electric vehicle is challenged over the source of the electricity they charge the vehicle with. Most of us ensure it’s from either wind or solar but it does not stop the cynics. Somehow doing thoughtful things, like using alternative energy or composting garden waste and not burning it is still considered odd! Someone please explain it to me? You might want also to explain why some prefer to drive a mile rather than walk. Walking restores your energy levels and keeps you fit, driving causes pollution, outside the school, in green spaces and around your homes! It’s a responsible life-style choice. So therefore, if investing in thoughtful and responsible ways provides good returns and respects your values, what stops you? Is it a lack of understanding, a question of not knowing where to find responsible investments or preferring to leave money with your bank so they can do irresponsible things with it?